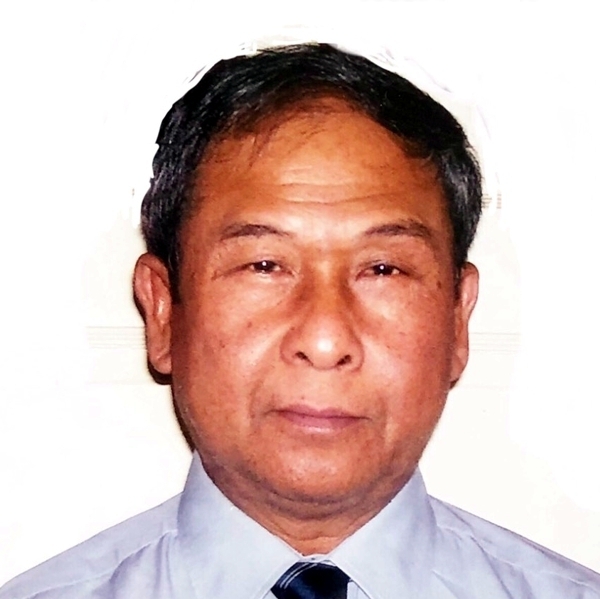 Bunthan Kao, Age 69, a loving husband, father and grandfather, of Lowell, MA died Sunday April 7, 2019 at his home surrounded by family. He was married to Chhorn Chev. Born in Kandal, Cambodia on April 2, 1950 the son of the late Suon Phin and Heng Am. He was educated in France before coming to the USA in 1981. He graduated from Middlesex Community College with an Associate Degree in Electronic Technology. Bunthan became a US Citizen in 2002. He retired from Cabot of Haverhill in 2008, previously he worked at Teradyne Connection Systems of Nashua, NH. He enjoyed fishing and loved spending time with his granddaughter. He was a member of the Glory Buddhist Temlpe in Lowell. Besides his wife, he is survived by his son Lescane Kao and his wife Sambath Phan of Lowell, his daughter Samantha Kao of Lowell, his granddaughter Savannah Chhea of Lowell, he is also survived by many siblings and nieces and nephews. Visiting hours Thursday at 2pm at the DOLAN FUNERAL HOME, 106 MIDDLESEX ST. CHELMSFORD. Transfer body to Glory Buddhist Temple at 3pm. Funeral Friday at 8:30AM at Glory Buddhist Temple 24 Cambridge St. Lowell, MA 01851. Cremation at Merrimack Cremation Service will follow. ARRANGEMENTS BY DOLAN FUNERAL HOME 978-256-4040.